Are you enjoying our new album, A Band Is Something To Figure Out ? That’s good, because we’ve built a side patio for it. 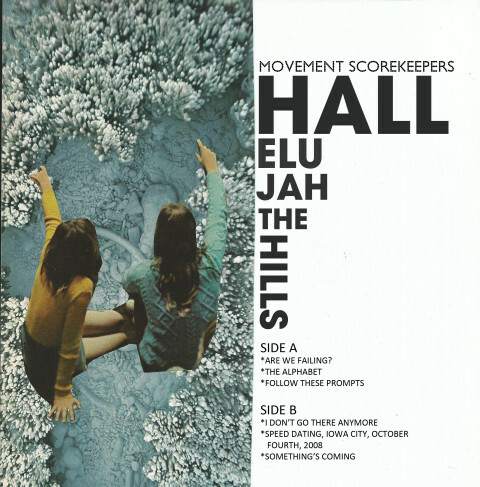 Movement Scorekeepers , out July 8, 2016, is a lo-fi companion to the album The Metro described like so: “These 11 songs, loaded with gritty determination, dramatic dynamic swells and gang vocal shouts, might just make you believe again in whatever it was you stopped believing in.” Why did you stop believing? WHY. I know why. The band employed a new method of songwriting to arrive at this short, psychedelic, lyrically-bananas new gem of an entry in our ever-growing discography. Last month we hit record and forced ourselves to improv new instrumental music together, changing it completely every minute or two without discussion. Then the vocal melodies were overdubbed on top of the tracks, arriving at this bizarre, delightful result. “Are We Failing?”, the first song on the EP, is available for any online sharing starting today. The EP will be out digitally and on a limited-edition blue 7" but not on CD. Meanwhile, the full-length A Band Is Something To Figure Out vinyl is gorgeous, shipping SOON, and we’ll have plenty of these at live shows. But why wait? Get it from Re-Vinyl Records.